The Lions are 1-7 and are going nowhere fast as far as the postseason or even a .500 record in the NFL is concerned in 2015. The team is headed into the bye week, and needs a lot of re-tooling after firing their offensive coordinator last week and then laying an egg in London in a blowout loss to the Chiefs on Sunday. 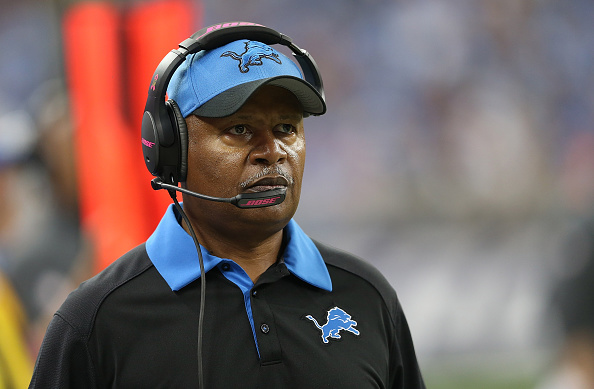 Jim Caldwell said he had not spoken with team owner Martha Ford after Sunday’s 45-10 loss, but as of now Caldwell better watch his back in terms of being coach long term. The team has not played up to potential all season. Their defense has been awful, they can’t stop long drives, can’t produce turnovers, and can’t get off the field on third downs. Caldwell was asked about his message to the fans, and it seemed like he didn’t have any issues with how things are going with a team that has won just once in 8 tries. “One of the things, I think, is that No. 1, we have the right kind of people,” he said. “No. 2, I don’t think there’s any question about it, it’s an extremely loyal fan base that has been right there with us the entire time, doing a tremendous job of giving us the home-field advantage, encouraging us. It’s one of the things I noticed when I first came here. Having just one win in 2015 getting Lions wins doing sports betting with William Hill has been few and far between. Looking ahead the schedule for the rest of the season doesn’t point to many more wins before it’s all said and done unless there’s a number of major changes made, which doesn’t seem likely. The team has a lackluster run game and just like always there’s issues on offense with a line that can’t seem to keep Matthew Stafford upright. Calvin Johnson’s talents are being wasted on a team that can’t seem to get out of its own way, which is a shame since some of his best years are being wasted with a team that has no real direction. 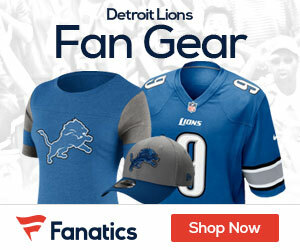 With issues on both sides of the ball and a front office and coaching staff that seems to be in denial, Caldwell came out and blamed – of course – the Detroit media for being the most negative he’s ever dealt with.